Well, I checked in on it periodically, and watched as the panels got locked down and the list of awesome people and studios attending continued to climb…but wasn’t really sure I was going to go. I mean, obviously everyone who goes to Comic Con and the like aren’t directly involved in that profession. But this seemed like a smaller more career-oriented expo, and I wasn’t sure what to expect. Cut to the Saturday evening of expo weekend…when I decide that on SUNDAY I’m going to go to CTN! They had an actor surrounded by chairs for sketching! 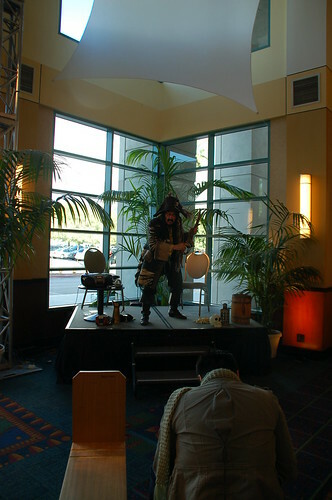 It shouldn’t really be surprising at an animation expo, but I thought it was a really cool hands-on aspect. 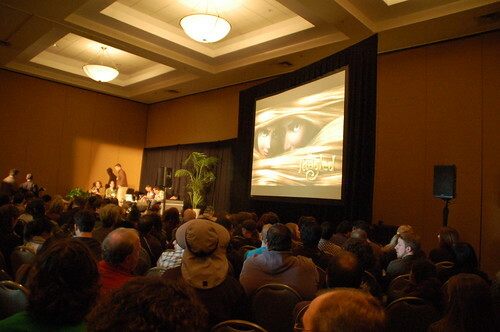 I actually got to the expo JUST in time to stand in the back of the room for the Untangling the Look of Tangled panel. Lucky me because it was a really great panel — including Art Director Dave Goetz and Supervising Animator Clay Kaytis, it was all about how they created the look of Tangled by referencing classic Disney films (like Cinderella and Pinocchio) and Disneyland, art direction for Rapunzel, and how they made all that hair (technically speaking). There were some great video clips of Glen Keane giving people notes on their shots — the faces he makes while drawing mimic the drawings and are HILARIOUS. After that it was time to wander! I wanted to check out the How to Train Your Dragon panel, but knew I didn’t stand a chance with the line… there were plenty of booths to look at though — so many artists had set ups showcasing a variety of projects. My favorite was the booth for Peck N Paw and the Black Mirror — a book made by the visual development artists at Disney. Basically they got the title as a jumping off point, and each person interpreted a story. Victoria Ying was at the booth, and she had some gorgeous sketches out for sale (unfortunately, I’m a little broke and kind of out of wall space). You can check out her art on her blog though! As I was heading out, there was a big crowd by the Demo Area. 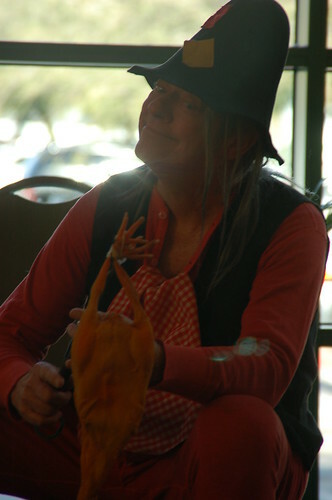 They had some model sculptors, and someone working on some CG projects on a computer. 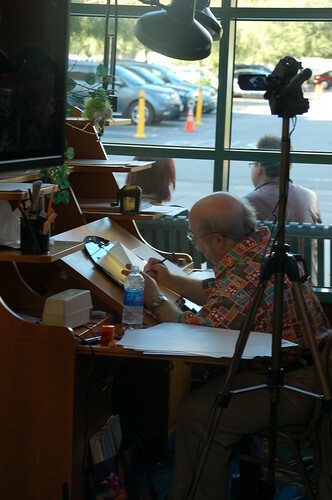 At the traditional animation desk though, was Eric Goldberg! I geek-ily recognize him from some documentaries and Disney DVD bonus features, but for those of you who are not quite as nerdy, he animated the Genie in Aladdin and Louis in Princess and the Frog (among others). All in all, it was a really fun and pretty informative day. I’m so glad I spur-of-the-moment decided to go, and I’ll definitely be showing up next year! I’ve been a bit slow in posts again the past few days, because I have a couple of video (!!) post ideas that I’ve been working on, and it is taking me longer to get them edited and look how I want than I anticipated. Isn’t that how it is with all projects? Or maybe that is just the classic school-project-procrastinator in me talking. Anyway, I’ve been so excited to write/post them that I haven’t been able to think of anything ELSE to write about. 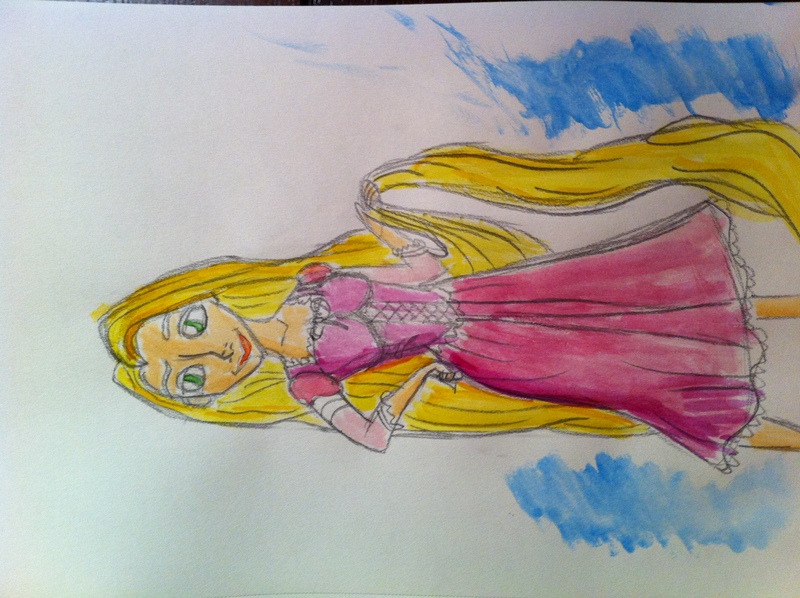 I HAVE been sketching and painting some in the evenings though, and so I thought I’d share my attempts at capturing some of the characters from Disney’s upcoming Tangled. I may or may not have verbally squealed when I saw the drawing book at Michael’s. 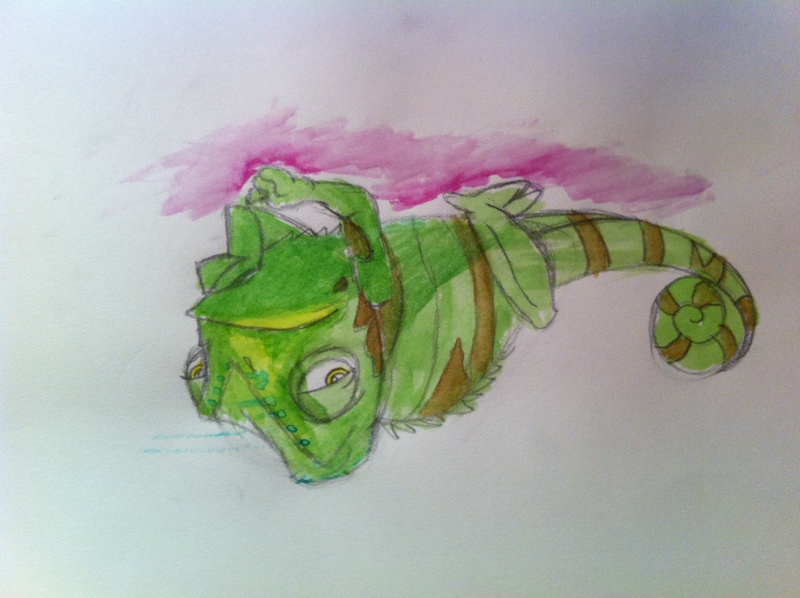 I’ve never really used watercolors before, but after I started seeing a ton of sketches on Pixarian (is that a word?) 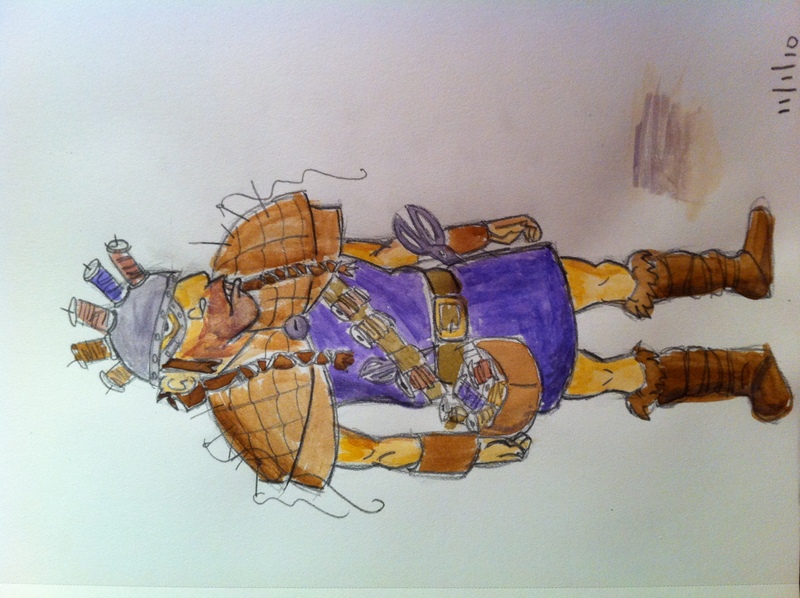 Chris Chua’s blog, I decided I’d like to try it out. I’ve actually been following a lot of Pixar employees on twitter lately (how I found Chris’ sketches in the first place) and it is annoying how interesting and talented they all are.